How Much Do Automatic Gate Operators Cost? Gate Type – Vertical pivot and vertical lift gates are supplied with electric gate operators in almost all cases, with the cost included in their price. Sliding gates, cantilever swing gates and vehicle barrier gates, however, require separate opener purchases. By matching the opening and closing equipment to the specific gate type, you can control your costs. We’ll help you choose an automatic operator that provides adequate power and endurance for cost-effectiveness, speed and solid reliability. Our discount pricing is among the lowest available anywhere. Gate Length & Weight – The longer and heavier the gate, the more power is needed to open and close it. To maximize your savings and keep costs low, choose an opener model that matches your specifications. Avoid underpowered or overpowered operators to obtain effective performance at the lowest possible price. Our consultants will be happy to assist you in your selection and arrange for fast, manufacturer-direct shipping. 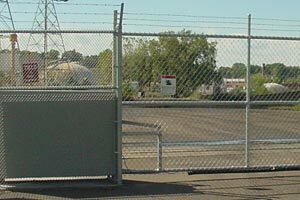 Single or Double Gates – For sliding and swinging gates, you will need one gate operator for each half of a double gate. This increases the total cost of your installation. In some cases, you can save with a single gate design, but double gates open and close more quickly and require less space. Each installation is unique. We’ll be happy to assist you with design considerations and help you assess the cost and benefits in advance. Rely on our consulting services to help you get the most for your money. 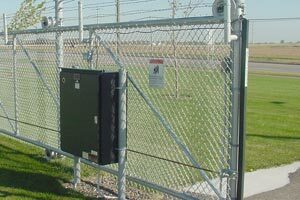 Gate Operator Control Systems – All gate openers and closers we supply can be controlled in a variety of ways for automatic opening and closing. The method you choose affects the total cost of your system. From opening systems controlled by security personnel to keypad, card swipe, telephone and radio control systems or even photoelectric or vehicle detection systems, each method has a different initial cost. Whatever controls you select, you can count on our volume purchasing discount power and direct shipping from the manufacturer for excellent savings. Let us help you make comparisons. For your security gate installation, choosing a trusted supplier that delivers outstanding, proven products at discounted prices is the key to controlling costs. By combining all security fencing, gates, and gate operator products in a single order, you can ensure the lowest possible price for outstanding products of proven quality. As one of the largest suppliers of this equipment in the United States, our high volume purchasing power and manufacturer-direct shipping assures you of money-saving pricing for everything you need. Add our expertise and experience with security products to the equation and you know you’ll get outstanding products, low cost and fast delivery, along with expert assistance with your order. Call us today to discuss your requirements and let us help you with a one-stop solution.